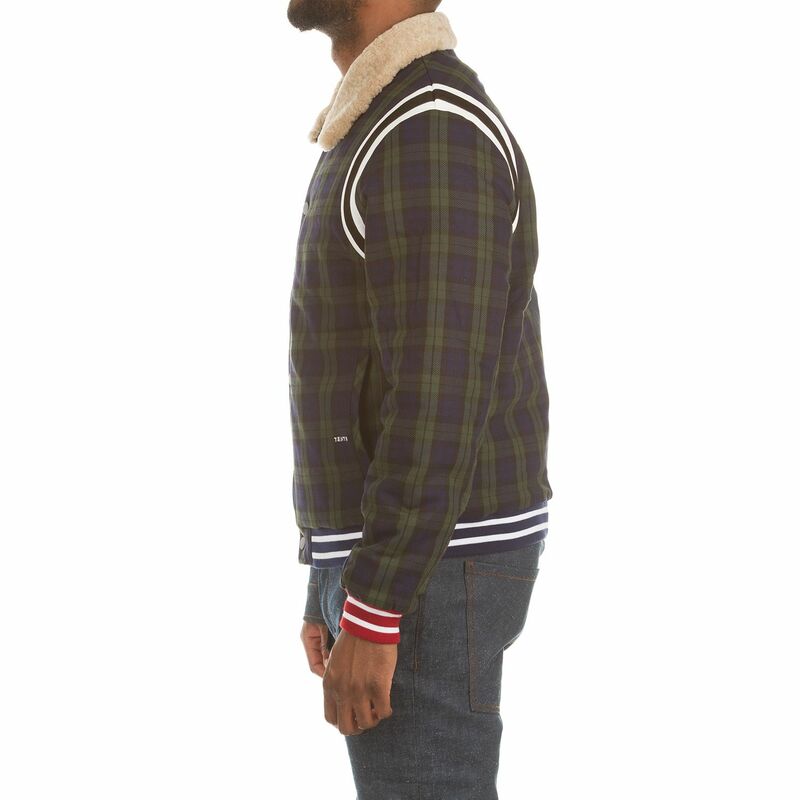 - 78C-8402 - Model size: 6’1 / 185 lbs. - Denim/Stretch Cotton - The Dean is a head turner with its split body created from two premium fabrics. 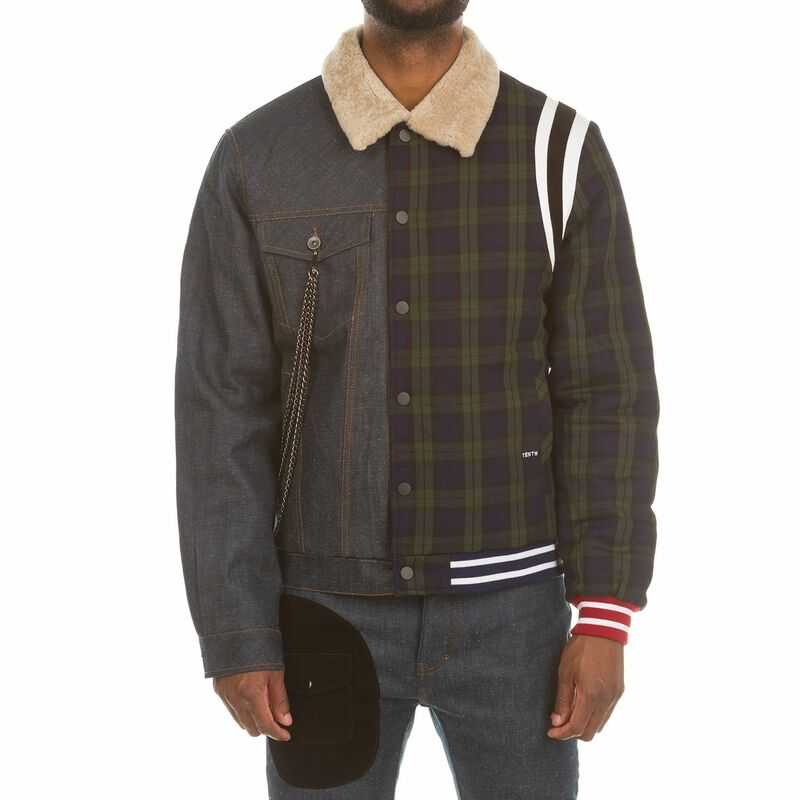 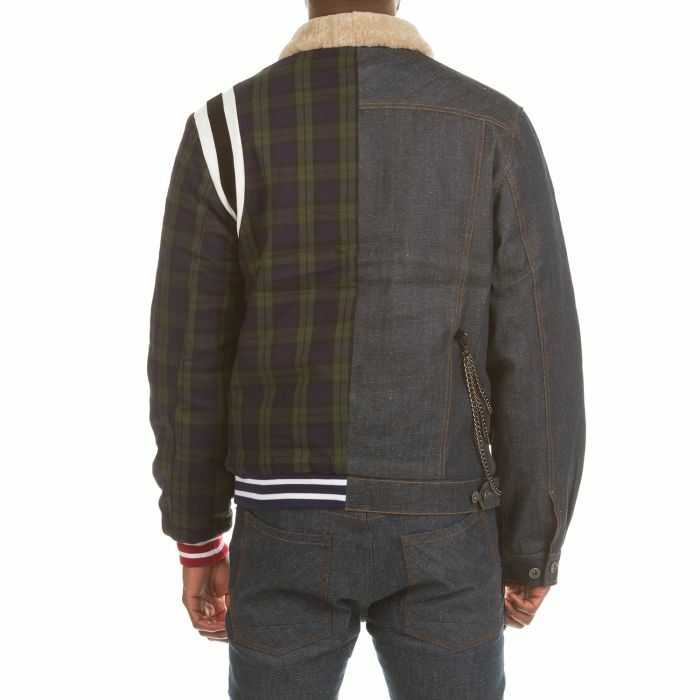 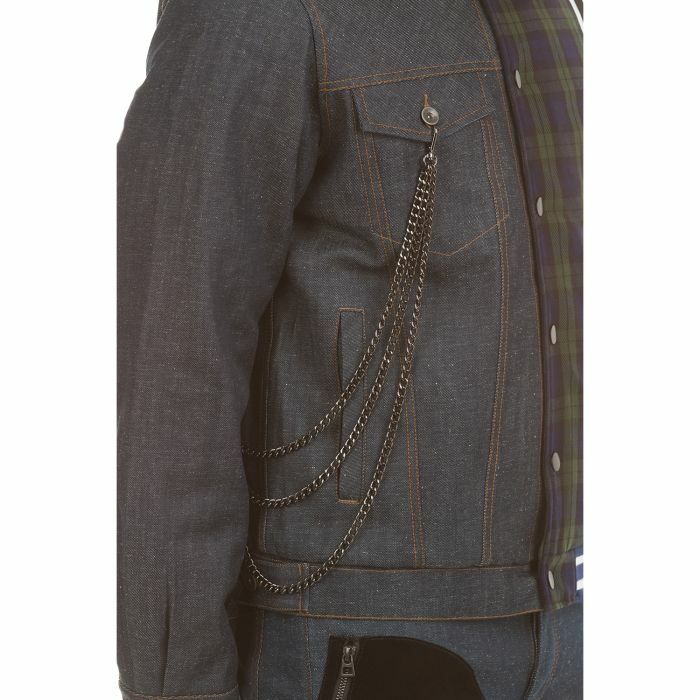 - A stretch weaved tartan plaid and raw denim make up the body. 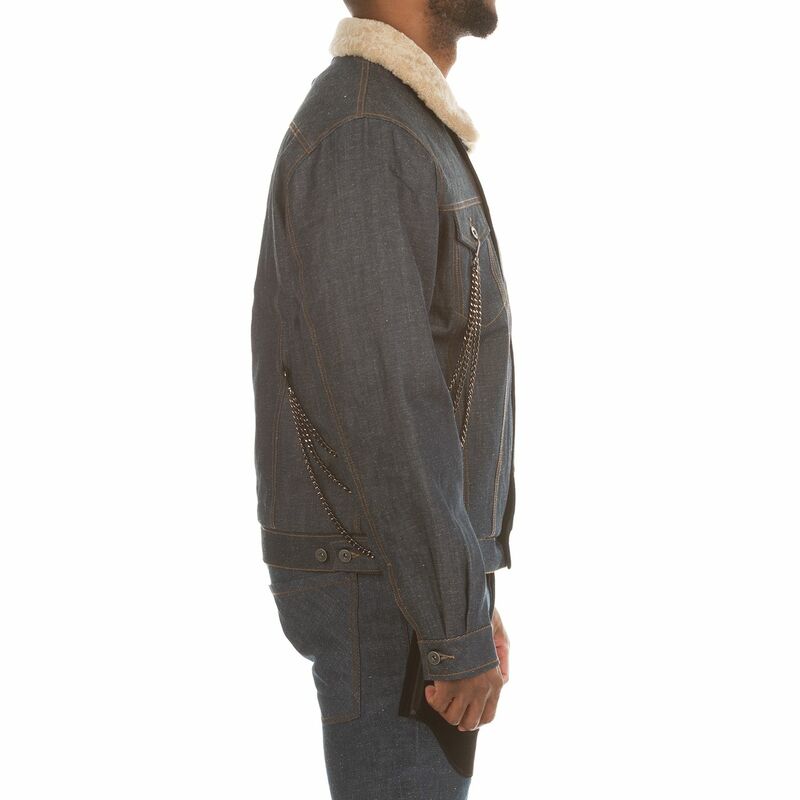 They are complimented by a Sherpa fur collar and leather /suede shoulder detail. 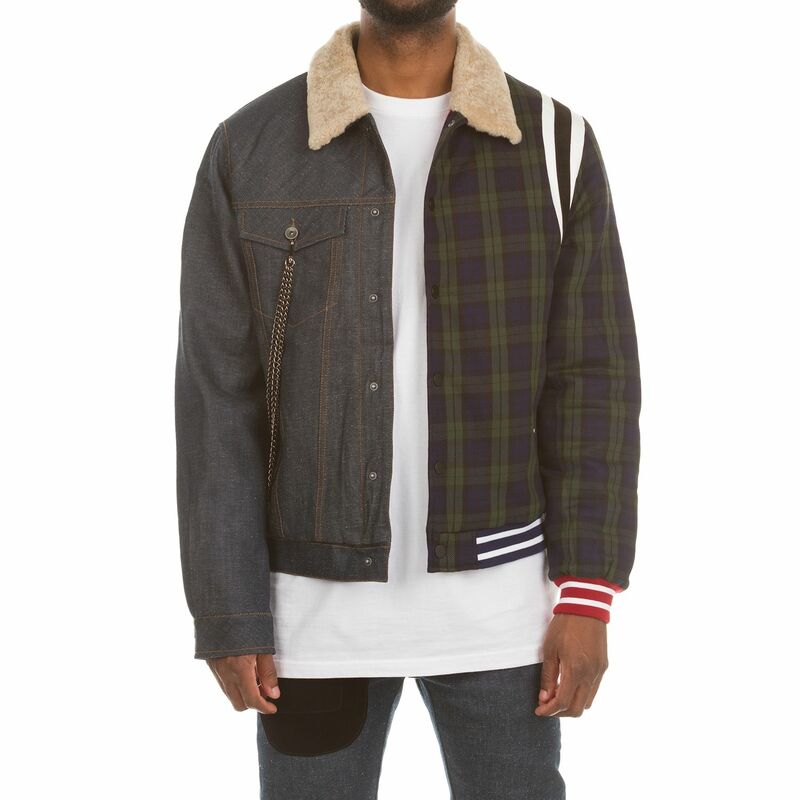 - The jacket has a rib and constructed denim waist and sleeve cuff detail along with a detachable metal chain at the right side of the body. 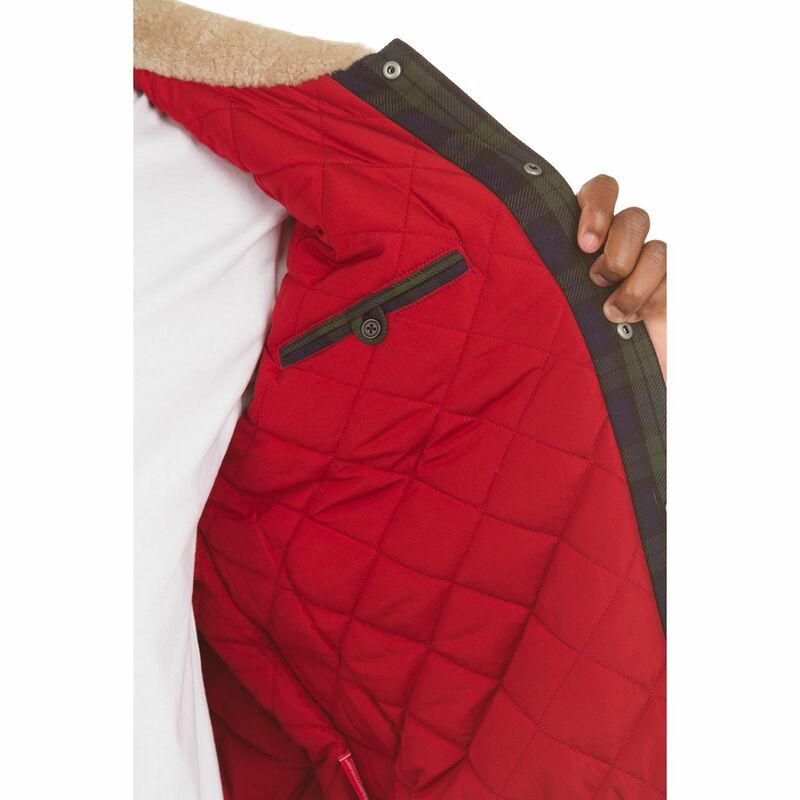 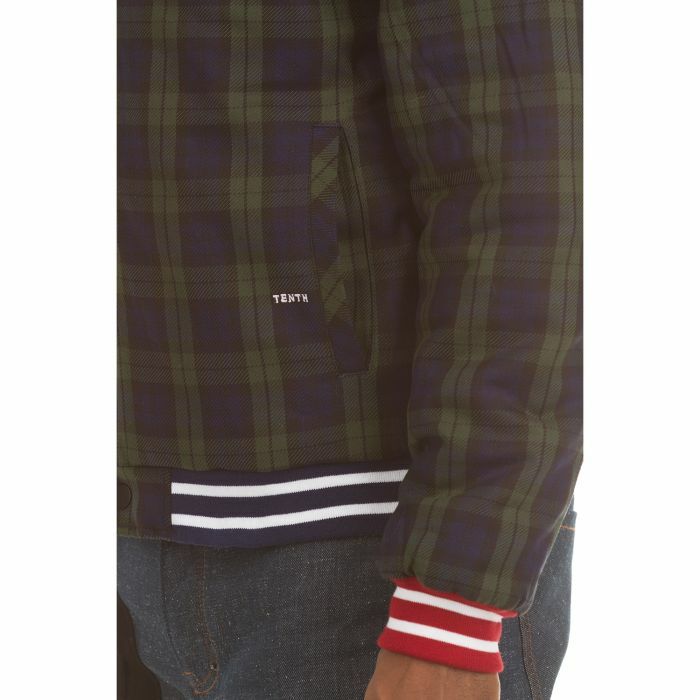 - Inside the jacket is a quilted satin red lining and zipper pocket for extra storage. - The logo is embroidered at the lower hip, discrete but present.